This month's SEE article is early to allow for year-end planning. Oil prices will be affected by the OPEC meeting that starts December 4. But after a year of low oil prices and longer-term low gas prices, Tudor Pickering Holt counts 150 oil and gas projects that have been delayed or deferred. Of these, 25% are in Iraq, 25% are in Canadian oil sands, and 25% are LNG projects. US onshore oil production is down 350,000 barrels per day (BPD), but offshore oil production is up 150,000 BPD. The Energy Information Administration (EIA) forecasts Permian production to rise less than a percent in December to 2.02 million BPD. Bloomberg authors David Wethe and Dan Murtaugh note the increase occurs even as 59% of the Permian's rigs have been idled. They contrast it to Bakken and Eagle Ford output which has fallen 12% and 25% respectively. The Permian's stacked pay is up to five thousand feet thick in places, with up to twelve economic pay zones. Shell analyst Laird Dyer estimates just one of these zones, the long-producing Spraberry, holds 75 billion barrels of recoverable oil. Porter made several points at a recent Midland oil conference. Year-to-date the number of Texas drilling permits is 8000, a third of the number in 2014. One-quarter of all US rigs still drilling are drilling in the Permian. Texas is producing 2.7 million barrels per day now, slightly ahead of last year's 2.65 million barrels per day. Key regulatory issues are a) crude oil export, b) use of CNG and LNG, c) export of natural gas liquids and natural gas, d) speeding up LNG permitting, e) working with Canada and Mexico, and f) supporting Keystone XL pipeline. Two biggest challenges are a) overreach by the EPA, specifically in the Clean Water Act and for natural gas emissions, and b) maintaining public support for the oil and gas industry. The biggest opportunity for Texas companies in Mexico is exporting natural gas to Mexico. The subscriber section gives details from several company presentations at the same conference. 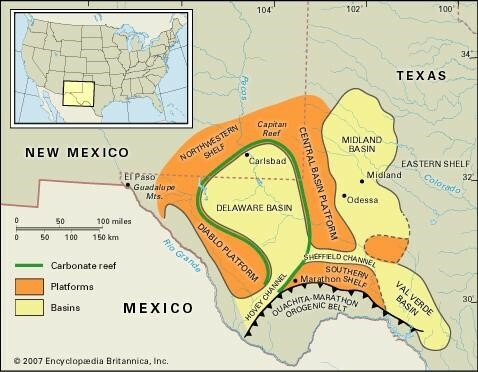 The best Permian summary comes from a story told by a third-generation West Texan of his grandfather's experience: "Learn how to saddle up in the dark so that when daylight is here you'll be ready to ride." I, Laura Starks, do hereby certify that, to the best of my knowledge, the views and opinions in this research report accurately reflect my personal views about the companies and their securities as of the date of this report. These viewpoints and opinions may be subject to change without notice and Starks Energy Economics, LLC will not be responsible for any consequences associated with reliance on any statement or opinion contained in this communication. Members of Starks Energy Economics, LLC own securities of Diamondback Energy and EOG.